Mera Peak at (6,461m/ 21,190 ft) is an awesome, beautiful mountain with all the challenges of real adventure; this peak has turned itself into one of the most sought after peaks for diehard climbers & is one of the highest trekking peaks in Nepal within the Khumbu (Everest) Valley. This is a culturally stimulating climbing hike through remote charming villages and forests. 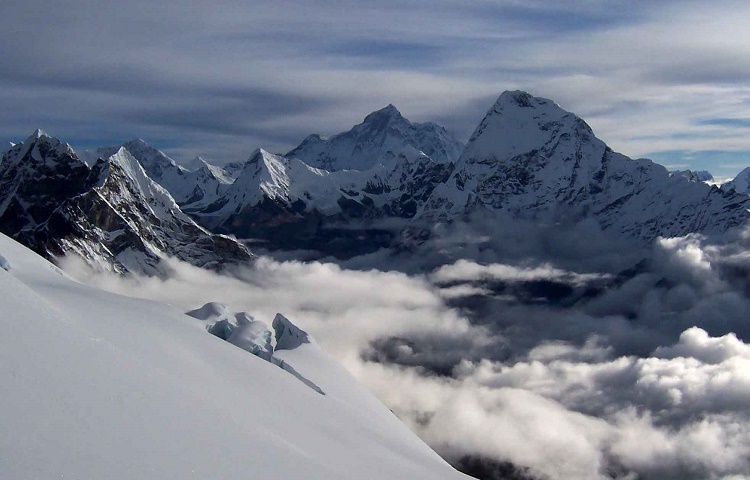 Physically based at the edge of the celebrated Khumbu region, its summit panorama takes in five of the world’s 8000m peaks – Everest, Kanchenjunga, Makalu, Lhotse, Cho Oyu and many other famous peaks. Climbing guide for climbling peak. After breakfast, we will move to the domestic terminal of TIA for an early morning flight to Lukla. After flying above the astounding greenary and mountains we will reach Tenzing-Hillary Airport at Lukla. This is one of the most beautiful air routes in the world climax in a landing on a hillside surrounded by high mountains. We will spend the day resting and acclimatizing in Lukla . We explore the nearby villages in small town of Lukla. Overnight in Lukla. Overnight at Lukla. Today, the first day trek is an easy walk which leads eastwards, the path from here is less frequented than the other main trails from Lukla, walk follows through a number of hamlets and wood yards until we reach a thick forest of silver fir, birch, pines and rhododendron trees and bushes on the hill side below Nau Lekh also known as Kalo Himal Ridge, on this portion follow the Sherpa or the group as there are many path leading away from the main trail. There are many small streams with numerous places en route, whole of this area referred to as Chutanga which is a summer pasture. We will explore the surroundings of Chutanga. Overnight at Chutanga. Today the adventure begins with a ascending to cross the Kalo Himal Ridge in the Nau Lekh range which separates the Khumbu from the Hinku Valley. After ascending to a while it brings us to the ridge with a collection of Buddhist prayer flags at 4,450m. This small pass is called the Zatrwa Og, from here the path traverses across a boulder slope, round a corner and climbs once again to the Zatrwa-La at 4,600 m. The views across the Dudh Kosi towards Karyolung and the Lumding Himal are very impressive, as well as the scenery across the rolling foothills of the Hinku Valley. From here less than an hour we reach Thuli Karkha. Overnight at Thuli Kharka. After early morning breakfast we follow a delightful descending trail across three ridges, before dropping steeply down to the Hinku River and a final uphill to Kothe through lush rhododendron forests on the west side of the Hinku Valley . Rhododendron is the national flower of Nepal and on our trail we get to wonder the beautiful hills dotted with rhododendrons. Overnight at Kothe. 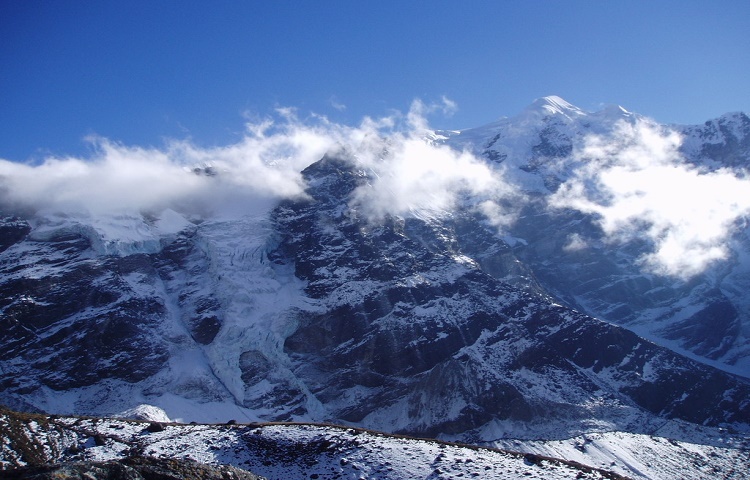 We trek along the ridge of the Hinku Khola in the shadow of Mera Peak. We take lunch at Gondishung. 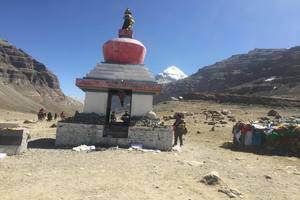 Beyond Gondishung, we pass a 200 year-old Lungsumgba Gompa where we can find Mera Peak scripted in rock along with its route to reach Mera. A short walk takes us to Thaknak, which is a summer grazing area with primitive lodges and shops. Overnight in Thaknak. Leaving Thaknak, we follow the lateral moraine of Dig Glacier to Dig Kharka, which offers spectacular views of Charpate Himal. 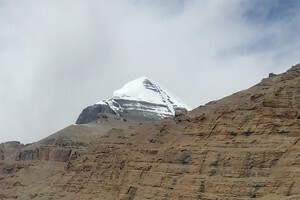 The trail climbs through moraines to the snout of the Hinku Nup and Shar Glaciers, and then climbs more steeply to Khare. 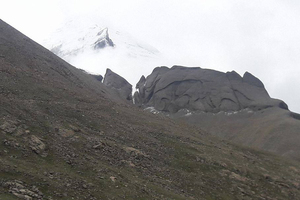 From here, we can view the Northern face of Mera Peak which will be an amazing experience. After lunch one can engage in hikes in the surroundings of Khare. Overnight at Khare. 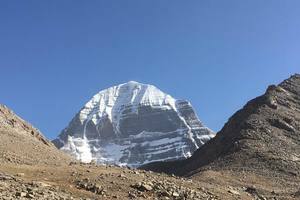 Today the guides will carry out the last minute checking of the gears for the climb, and then arrange if any equipment becomes necessary to rent. Thereafter, we shall provide training on peak climbing techniques and the proper ways of using climbing gears such as the ice axe, climbing boots and crampons, harness, ascender, etc. The training will also include using ropes to go up and down. Although it is not mandatory to have prior training for Mera Peak Base Camp, we strongly believe that some training experience will boost your confidence and your climbing skills to increase the chances of scaling the summit as well as to fully enjoy the experience. Overnight at Khare. Today after breakfast, we walk through a boulder-strewn courseon a steep trail to reach Mera Peak Base Camp. 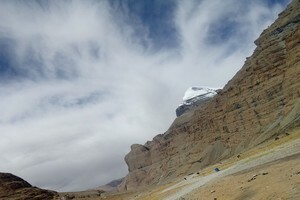 Upon reaching the base camp, we rest for a while. If anyone feels the previous training was not sufficient and wants to train more to build confidence to succeed the climb, there can be an additional training on climb provided. Rest of the day would be to rest and prepare for the next day. Overnight at Mera Peak Base Camp. We take the route through Mera La pass to reach the Mera High Camp today. Our path is along a rocky trail, which can be hazardous if it has recently snowed, as there are a number of crevasses here. We make our way to the top of the rock band, which is marked by a large cairn. We set up a high camp while enjoying excellent views of Mt. Everest, Makalu, Cho-Oyu, south face of Lhotse, Nuptse, Chamlang and Baruntse. Overnight at Mera High Camp. This is a really big day for us as we will be summiting Mera Peak today. We wake up around 2 in the morning for breakfast. It’s going to be very cold in the beginning but soon we warm up as we continue up the glacier and onto a peculiar ridge. The first rays of the sun hit the big peaks in an amazing red glow. The route is still non-technical as we slowly climb higher into the ever-thinning air. The slope steepens for a section behind the ridge and the summit comes back into view. At the foot of the final steep summit cone, we may attach to a fixed rope depending on the conditions. The summit is only a few meters away. 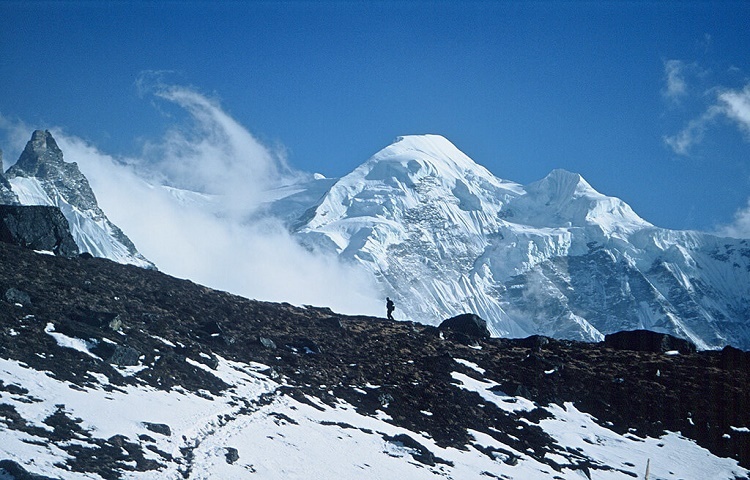 From the summit, we take in amazing views of the mighty Himalayas including Mt. 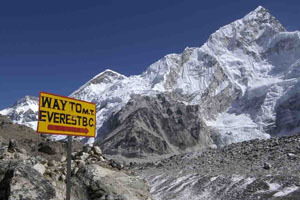 Everest (8,848m), Cho-Oyu (8,210m), Lhotse (8,516m), Makalu (8,463m), Kangchenjunga (8,586m), Nuptse (7,855m), Chamlang (7,319m), Baruntse (7 ,129m) and others. Later, we retrace our steps back to the high camp where we rest for a while before descending to Khare. Overnight in Khare. There is no guarantee that we will have favorable weather on our planned day for the summit (day 12). Therefore, this day is set aside as a contingency in case we are unable to summit the Mera on day 12 due to bad weather conditions or any other unanticipated reason. However, if the trip goes smoothly, we do not need this spare day, we can use this day to walk back to Lukla at a leisurely pace. We begin today’s trek by ascending to Zatrwa La Pass. As soon as we cross the pass, we are welcomed by the sight of the beautiful Lukla Valley which is surrounded by Cho Oyu, Kongde Peak, Numbur Himal, Kusum Khangru and other Himalayan peaks. From Zatrwa La Pass we walk all the way down to Chutanga and then straight forward to the Lukla village. In the evening we enjoy dinner in the Himalayas of Nepal with our crew. Overnight in Lukla.